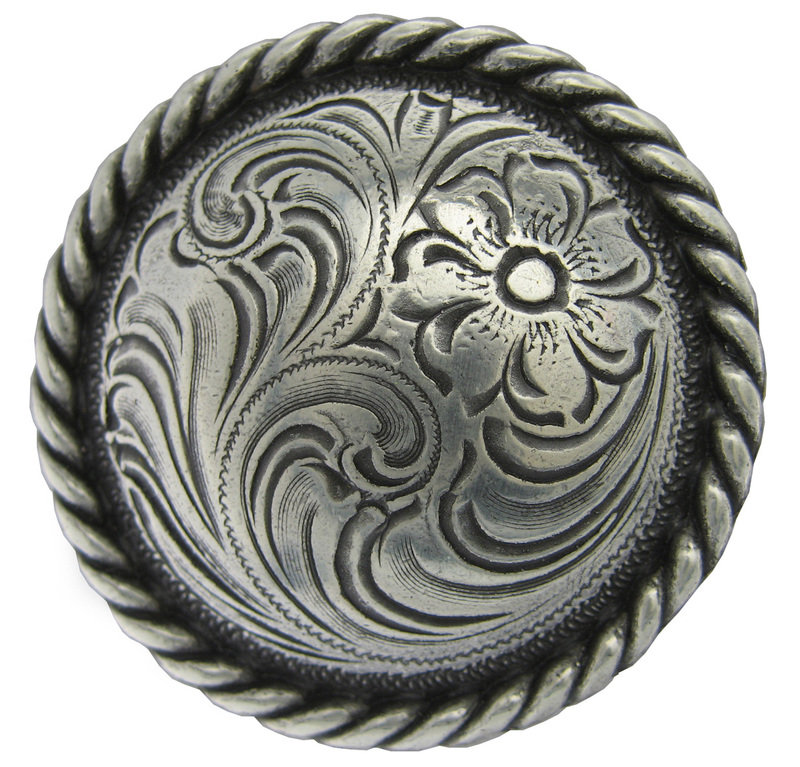 F-9819-6 SRTP 2 3/8" Antique Silver Plate Round Rope Edge Western Engraved Concho Western Hand Engraved Masters used to cast this Screwback Hand Polished Silver Finish Concho. 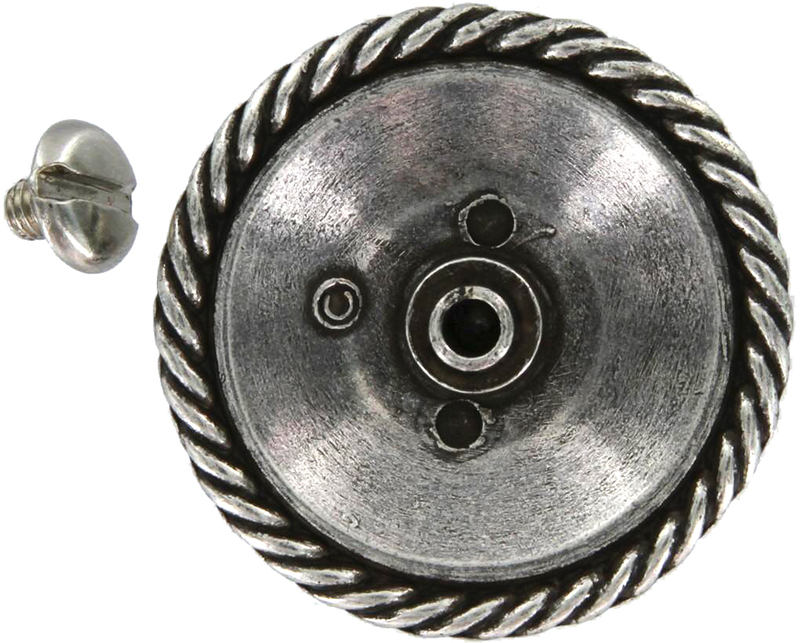 Call Toll Free to order: 1-888-692-3587. No sales tax unless shipped to California.